Find more encouragement for your dreams in my book The Footsteps of a Dreamer, and corresponding workbook, The Dreamer’s Atlas - now available on Amazon! When you experience heartache in your life, it can be very difficult to see beyond the haze and have compassion for others. This is a human and understandable response, but there's this story about Jesus that snagged my attention this week - a story about miracles that happened when He chose to have compassion and minister to others who were hurting during a time in His life when he was very much hurting as well. This passage encouraged and challenged me so much, and I wanted to share it with you. I hope you feel strengthened. Remember - if your heart is broken, it doesn't mean YOU are broken. In fact, it means you're human, you have a soft heart, and something powerful might happen right there in the midst of your pain. That's the Jesus life, and oh, He is good. Get inspiration and encouragement for the journey of your God-dream sent straight to your inbox once a week - subscribe to The Dreamer's Atlas! I can't wait to walk alongside you as you chase Jesus and walk into your calling. Last week we talked about speaking the Word over the dead things in our lives and seeing the miracle of muscle and skin being attached to those dead bones. 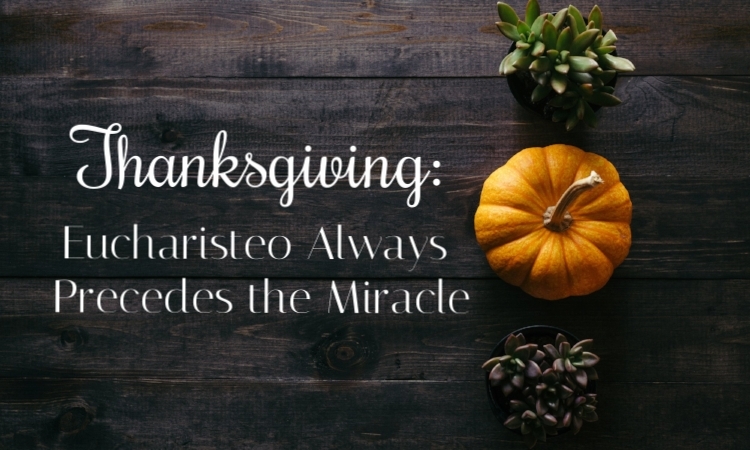 Today, we talk about the power of prayer, and how it allows the breath of God to come into our miracles - animating them with His power and His life. This is the stuff we should be tenaciously pursuing as believers and God-dreamers. I'm so excited for you to join me as we study this amazing word from Ezekiel together!! Receive encouragement for your God-dreams straight to your inbox! 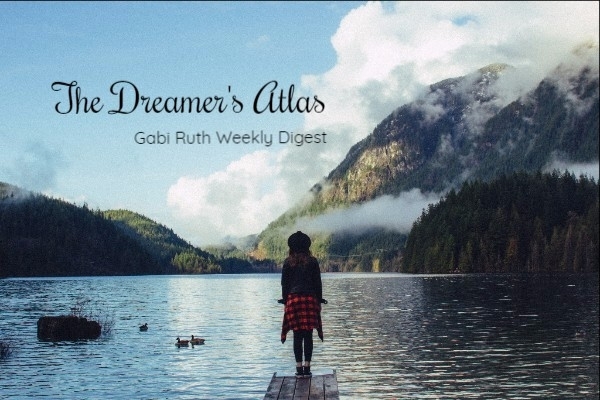 Subscribe to my weekly email: The Dreamer's Atlas. I'm so excited to go on this journey with you! Sign up for free below! I'm so glad you are here, and I want to keep encouraging you and speaking life into your dreams. The best way for me to do that is if you sign up for The Dreamer's Atlas, a weekly email with words of hope for your heart. Let's walk together as we pursue Jesus and the call He has placed on our lives! SIGN UP HERE FOR FREE! You're all signed up! I'm so glad you're here! Keep dreaming with God, my friend. It's amazing living this Jesus life with you. Let's be real...the thought of bringing a dead dream back to life can be very scary. We've found a way to get comfortable without it. We have grieved and just want to figure out how to cope. But what if Jesus tells us to let Him bring it back to life? Will we be able to trust Him enough to let Him? Will we open the door of the tomb of our dreams even if we're terrified that it's just going to stink like death in there? Today we look at the story of Lazarus to get these questions answered (and to get some pretty important things settled in our hearts). Can't wait to walk through this with you today. Find weekly encouragement for your dreams in your inbox every week by subscribing to The Dreamer's Atlas. It's absolutely FREE! When Jesus received word that one of his best friends was on his death bed, He had the strangest response: he stayed where he was and didn't go to heal his friend. "Although Jesus loved Martha, Mary, and Lazarus, he stayed where he was for the next two days." (John 11:5-6, NLT) How do love and delayed help go hand-in-hand? Surely this doesn't make sense? I have felt the tension of this in my life, and I'm sure you have, too. For we who dream God-dreams, it can be so confusing when it looks like God is delaying to the point of our dream breathing its last and dying in our arms, leaving us questioning Him: God, why didn't You come and fix everything while there was still hope? Why didn't You come before this dream died right in front of me? 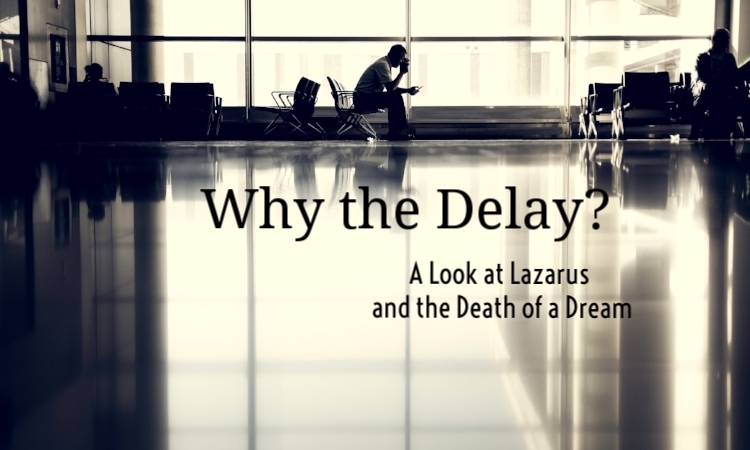 The story of Lazarus gives us some amazing insight to answer these questions. Let's dive into it together!! Thank you! I'm so glad you're here. Let's keep dreaming with God! Episode 39: I Finished My Book! The podcast is BACK! I took the past few weeks off to buckle down and finish my book, and I have good news...it's FINISHED! The manuscript draft is complete and now I'm pursuing next steps. Let me tell you about how this process has worked and how God's timing has been so perfect. Let's also chat a bit about why it important to continue in this process of walking out our callings - so much evil is taking place in the world, and our lives lived sold out and on mission are to be lights in the darkness. Let's not waste another moment! The Dark Night of the Soul - wow - this concept has been blowing my mind these past few weeks. I didn't know about this concept until recently, but the Lord has been so gracious to let me encounter multiple resources that address it...right as I was beginning to endure my own dark night. This is the place where our faith is refined. It is a place where every believer, every God-dreamer, gets to make a choice: will I succumb to my sadness and my brokenness, or will I choose to believe in the faithful God regardless of the darkness I am experiencing? I hope you'll join me today - today, I PREACH on this subject because I feel like it is a VITALLY important reality for believers to be made aware of and to walk through faithfully. Get some more encouragement to walk faithfully toward the God-dreams in your heart, regardless of what season your in. Download my free 20-page ebook, Fully Alive - A Handbook for a Heart of a Dreamer, right here! Thank you for being here! You are GIFTED and CALLED! CLICK HERE to download your ebook. As believers we have been entrusted with the treasures of the Kingdom of God. Sometimes we forget what an important entrustment this is and that there's a world around us dying to have what we have. Will you use your life to carry these divine, life-giving supplies of the Kingdom to the people in the world around you? This is the call on ALL of our lives, regardless of what each our individual callings looks like. So THIS is a vital part of your God-dream, whatever that dream in your heart may be. Let's carry the Kingdom with the faithfulness and the urgency it deserves. Looking for more encouragement to help you along in this journey of living out the God-dream in your heart? I have created a FREE RESOURCE just for a you: a 20-page e-book entitled, Fully Alive - A Handbook for the Heart of a Dreamer. Download it here! You are gifted and called! CLICK HERE to download your copy of my ebook!